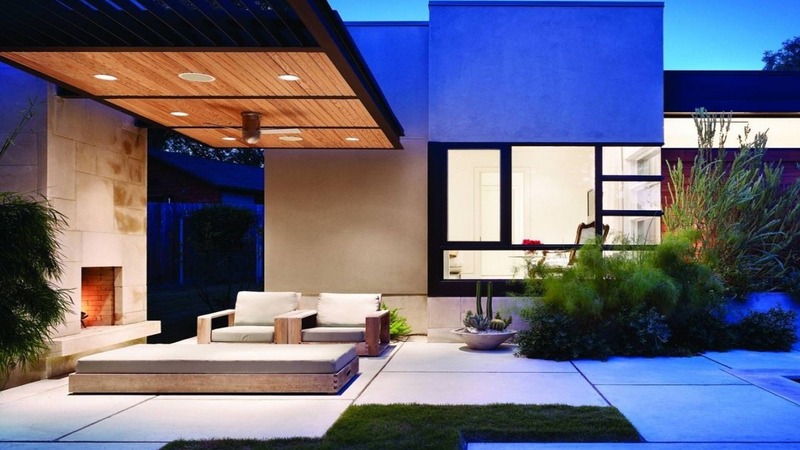 With all things contemporary holding the fancy of the people today, it comes as no surprise that most of them prefer a modern design for their dream home. Simple yet elegant, these designs if chosen with care can actually give the onlookers a sneak peek into your persona. 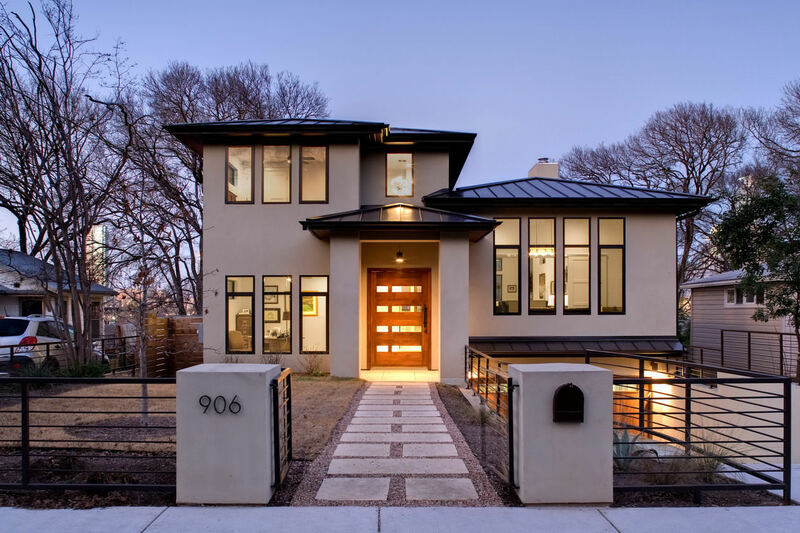 The best thing about modern house designs is that there is no particular pattern that you need to follow which is not the case when it comes to classic architectural designs. However, you do need a clear idea about what you really want to ensure that the end result is to your liking. 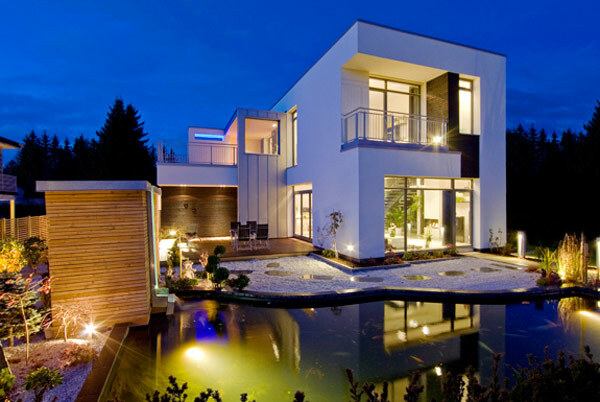 In case you are in the process of finalizing the design for your dream home, here are some modern house designs to help you out. 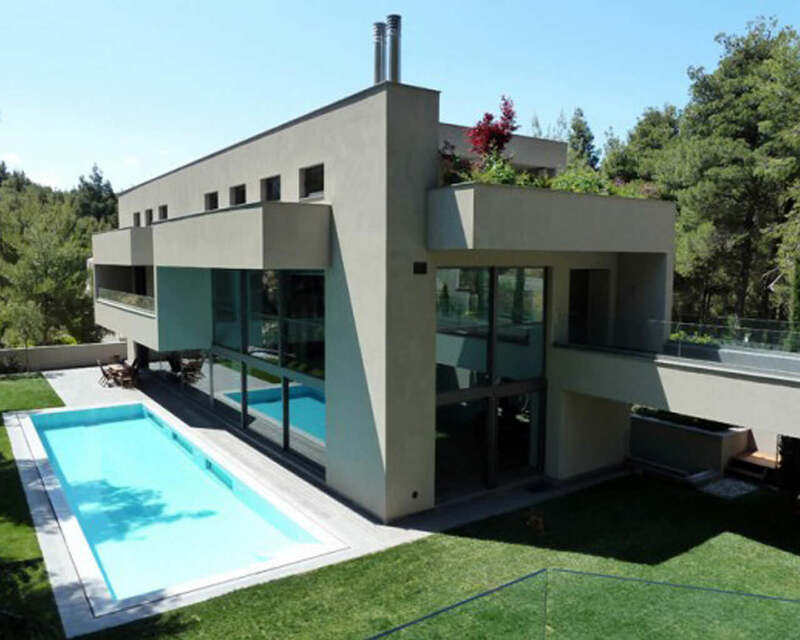 Designed using clean lines of cemented awnings interspersed with glass walls, this modern house design looks quite chic and classy. Thick rectangular pillars on either side of the main façade offer a chic look and in the bargain add additional strength to the whole structure. 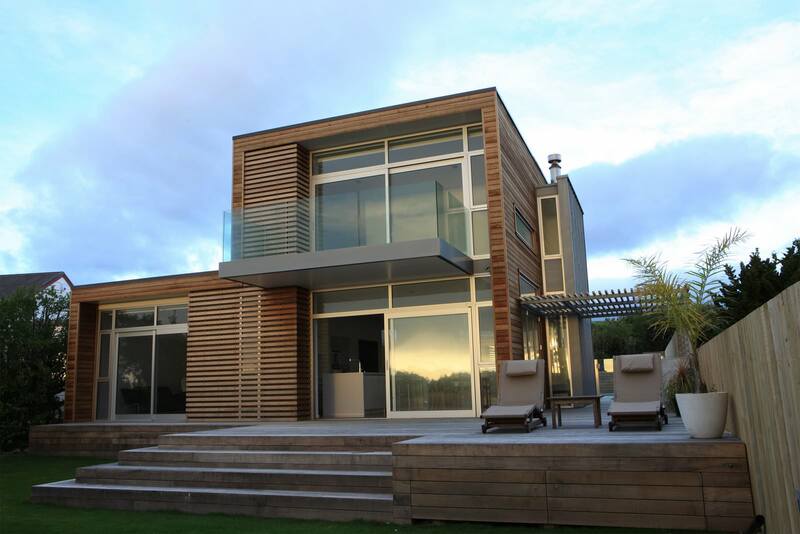 The deck in the front with metal railings makes for a rather contemporary look. It would be a good idea to accentuate the whole design with recessed lights on the main façade and modern light fixtures on the sides. Thinking of putting in a pool in your new house? 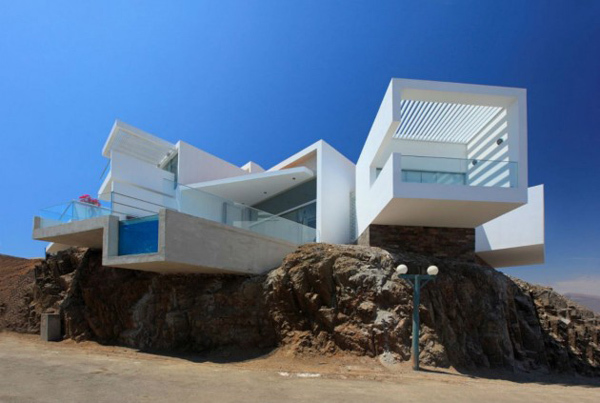 Then it would be a good idea to design the house in such a way that most of the doors open to the pool. Give the house a multilayered look by adding in bedrooms on the first floor and keeping the ground floor for living and dining area. 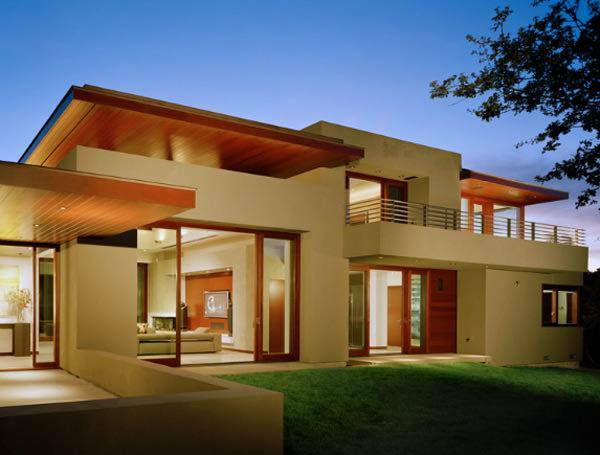 Putting in sliding glass doors for each room will give the whole structure a rather contemporary look. Do up the balcony using metal and glass railings. 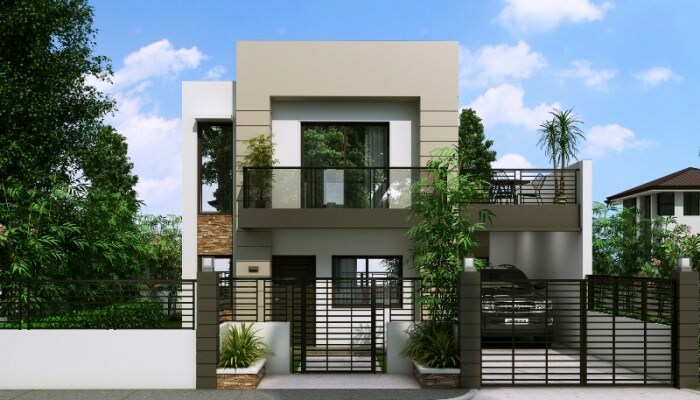 This house design with multiple layers is sure to get your home appreciative looks and envious glances. Instead of stones or stucco, design the outer walls of the layered rooms in a one-way glass. Accentuate these and other windows with wood to add more elegance. Border the first-floor balcony with glass and wood railings to give it a touch of chic. Let the first-floor bedroom window be covered with wooden slats. 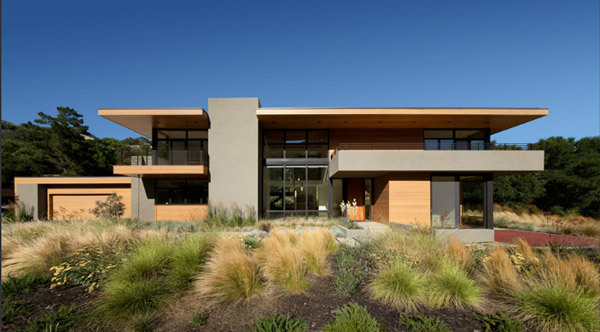 In case you are looking for a house design spread over a large area, this would be perfect for you. Built over a huge garage, this home façade is a perfect amalgamation of straight lines and slopes most of which is done up in wood. Recessed lights across the boundaries give the house a classy appeal. 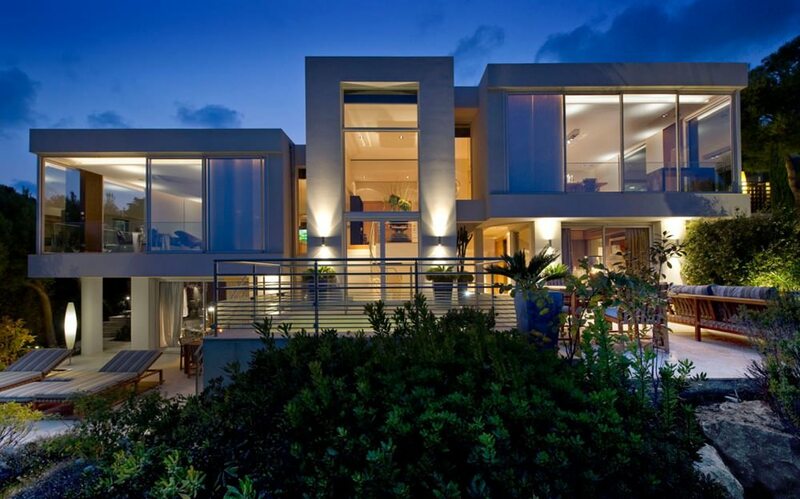 Large glass doors and windows add cheer to the whole design. Wide steps with hidden lighting lead the way to the house from the walkway. Let an elegant swimming pool be the perfect foreground for your dream home. Go for an all concrete design in straight lines and clean layers. Put in large glass doors on the ground floor especially the ones that open to the pool. Use metal railings for the balconies to add to the contemporary look. Design a seating area with wooden floors and do up the rest of the outer area in stucco and tiles. When it comes to modern designs, nothing can actually go wrong. In fact, you can even add a touch of rusticity to these by putting in stucco walls instead of concrete. Using wooden frames for the doors and windows can also help you mix modern with classic. Do you have any other modern design ideas with you? Share these with us.